If you’re new to Fort Worth,Crowley, Arlington, or one of our surrounding communities, we know you have a variety of options when it comes to dental care. At Summer Creek Dentistry, Jasmine Coleman King, DDS and her caring dentistry team invite you to consider trusting us with your oral health care needs. We offer a wide range of dental services to prevent oral health concerns and keep your smile whole and healthy for a lifetime. Keep reading to learn more about our dental team. Easily the most common requests we hear from patients who visit our Fort Worth dental office for a cosmetic dentistry consultation is, “I want to brighten my smile!” Walk down your local pharmacy’s oral hygiene aisle, and you’ll find a wide array of teeth whitening pastes, gels, strips, and rinses. These products promise brilliant white smiles, but in most cases, they aren’t able to deliver. One reason store bought whiteners aren’t effective is that they do not address the underlying cause of your tooth staining. When patients visit our team for professional teeth whitening, we first look for the underlying cause of dental discoloration. Then, we create a targeted teeth whitening plan to address the patient’s specific concerns. In this post, we’ll discuss causes of tooth staining, prevention methods, and our teeth whitening services. Comments Off on Why do Teeth Stain? Have you always dreamed of that picture-perfect smile? Have you always thought there were too many obstacles standing in your way? Now, all of your worries can be just as invisible as your new set of braces thanks to Invisalign. Invisalign is the modern-day version of the traditional metal braces that were often uncomfortable and cumbersome. These clear braces do the same work as metal braces, but with a more natural look and feel. Dr. Jasmine Coleman of Summer Creek Dentistry is the dentist Ft. Worth, TX, turns to for a beautiful smile with straighter teeth. Invisalign works by using a series of clear, custom aligners designed specifically for you. Each aligner is responsible for a separate function. 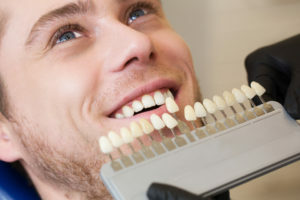 Your cosmetic dentist will take a series of x-rays, impressions and pictures of your teeth to create the perfect treatment plan for your specific needs. This will allow Dr. Coleman to show you how your teeth will progress through each stage of treatment. With continuous wear, your teeth will begin to gradually and gently move into place. After we have your plan in place, all you need to do is put the aligners in and wear them comfortably throughout the day. For optimal results, you should wear them between 20 and 22 hours per day. However, you can remove your Invisalign aligners when you eat or when it’s time to brush and floss your teeth. About every two weeks, you will wear a new set of aligners, getting you one step closer to that beautiful smile. Throughout the course of your treatment, you will meet with Dr. Coleman approximately every four to six weeks so that she can check your progress. Full results should be achieved in 12 to 18 months. By this time, you won’t be able to stop smiling. Enjoy comfort, convenience and confidence when you choose Invisalign. Eat the foods you love, retain your active lifestyle, brush and floss your teeth as normal and best of all, enjoy almost undetectable teeth-straightening. With so many benefits, the choice is a no-brainer. 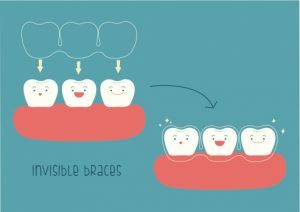 Whether you have an overbite, gapped teeth, an open bite, underbite or overly crowded teeth, Invisalign could be the perfect solution for you. Call the office of Summer Creek Dentistry to schedule your Invisalign consultation with Dr. Coleman. We’re proud to serve patients from Fort Worth, TX, Haltom City, North Richland Hills, Benbrook, Burleson, and all surrounding cities. If you have a missing tooth—to say nothing of having several missing teeth—then you are familiar with the challenges and difficulties this can cause. First and most obvious is the effect missing teeth have on your appearance. That gaping hole can leave a person reluctant to smile. Moreover, your speech can be altered by the absence of just one tooth. Missing teeth can negatively impact your oral and general health, as well. Gum disease, tooth decay and shifting teeth are more likely with missing teeth, and difficulty chewing can make eating a healthy diet of fresh fruits and vegetables more difficult. 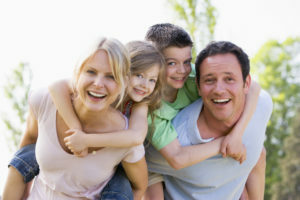 The importance of tooth replacement is, therefore, undeniable. And while you have a number of tooth replacement options, the most natural looking and functioning is a dental implant. Dr. Jasmine Coleman at Summer Creek Dentistry in Ft. Worth, TX, offers dental implants 76123 and surrounding zip codes can depend on to rejuvenate smiles and health. 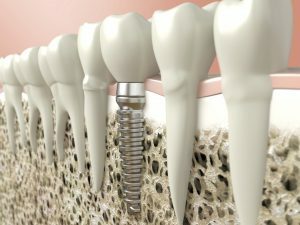 Unlike other tooth replacement alternatives that only replace the crown of a missing tooth, a dental implant restores a tooth from root to crown. As such, it is the most lifelike replacement both in appearance and function. A dental implant is actually comprised of two parts. The first is a titanium post that acts much like the root of a natural tooth. The post is surgically implanted in your jawbone beneath the gap of a missing tooth. With time, the post and surrounding bone tissue fuse together forming a solid foundation and healthful relationship—the bone holds the post in place and the post prevents bone deterioration. Dental implants can be used to restore one missing tooth or they can be placed along an entire arch to secure a bridge, partial or full denture. Once healed, Dr. Coleman restores the crown of your tooth by attaching a porcelain crown on another prosthetic device. To learn more about dental implants or to schedule an appointment, call Summer Creek Dentistry. We’re proud to serve patients from Fort Worth, TX, Haltom City, North Richland Hills, Benbrook, Burleson, and all surrounding cities.